Americans may pride in Fitzgerald's The Great Gatsby, but the French have a jazzy story of their own, L'Ecume des Jours by Boris Vian. It seems fortuitous that some classics like The Catcher in the Rye or Bonjour Tristesse by Francoise Sagan, and especially L'Ecume des Jours can be truly appreciated by teenagers who study them during high school. Such relevant classics in comparisons to The Old Man and the Sea or Animal Farm! I read l'Ecume des Jours, when I was 17 years old. Its poetry, its lightness and especially its love story stirred me. But I almost forgot its details two decades later and when I re-read it, I rediscovered its music, its aura, its simplicity. Every time my yoga instructor tells us to "open our heart like a flower," I think of Chloe, the heroine of L'Ecume des Jours, whose illness can only be cured in the presence of flowers and whose husband goes bankrupt in flowershop expenditures. A flower grows in her own body. This little gem of a novel flows like a jazz piece, often langorous, sometimes quirky, occasionally obscure. 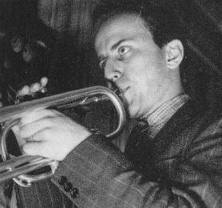 Boris Vian himself played the saxophone! It is a "special order" type of book in its English version, but for the French enthusiasts, it is a book to read and re-read, even at the beach. I envy those who can read at ease in so many languages.My mother used to remind me that every language you learn,is a Passport to a culture.How I yearn to read in French,German and Spanish.I think wishing to read in Mandarin would be too far fetched. Luckily I have kids who are multilingual,who are well discplined to read,alas not in Arabic. Every night, I look sadly at the mountain of books on my night table. Every day, I promise to start a new book. I love reading. I just need to find the time.